Penric finds himself plunged into danger and intrigue immediately upon disembarking in Cedonia. Hit on the head from behind, dumped in a bottle dungeon, and intended to drown, his challenges are only beginning. 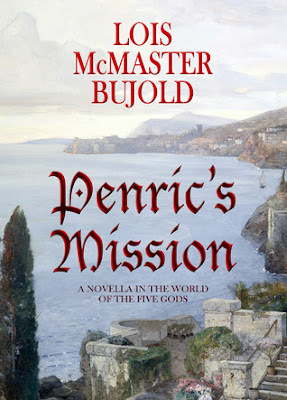 Penric continues to develop as a character, and his story continues to advance, as we continue to explore more of the world of the Five Gods. This is a novella, so it's hard to say anything more without engaging in inexcusable spoilers, but in character, pace, and convincing world-building, it's good, solid Bujold storytelling.